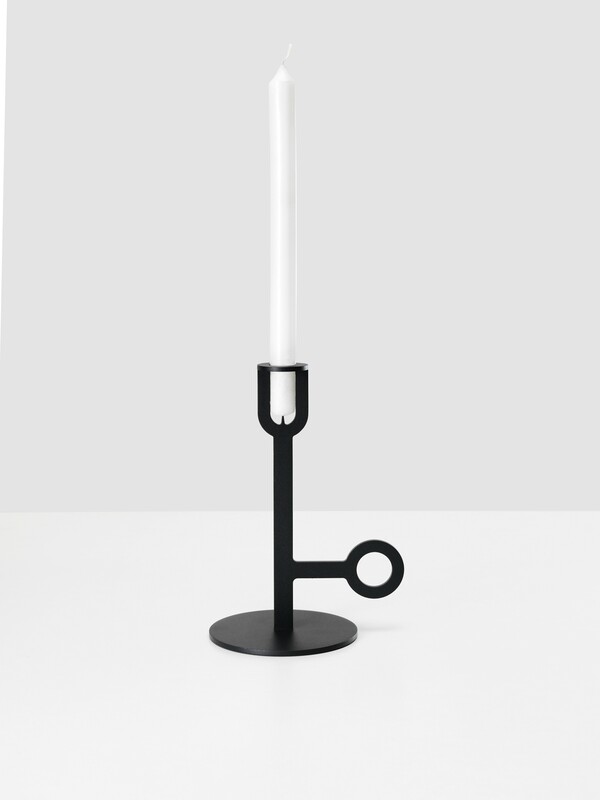 This high candle holder is made of steel. 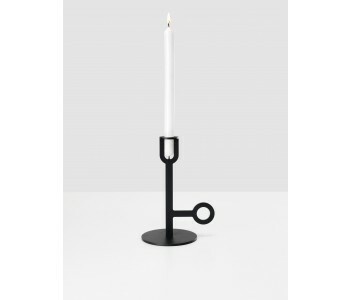 The Carry On Candle Holder is 23 cm high, 17 cm wide, and 12.5 cm deep. 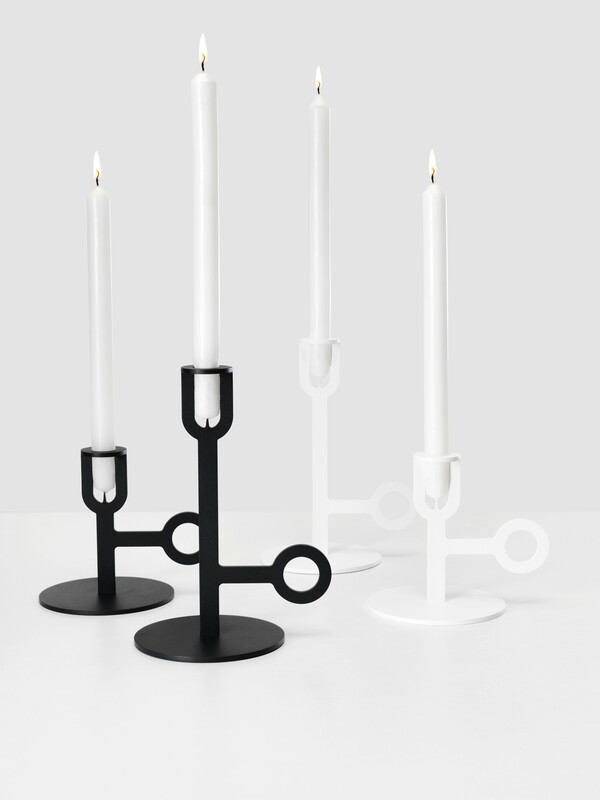 The candle holder is finished with a black coating.